This is the perfect addition to any tradesman's toolbox. 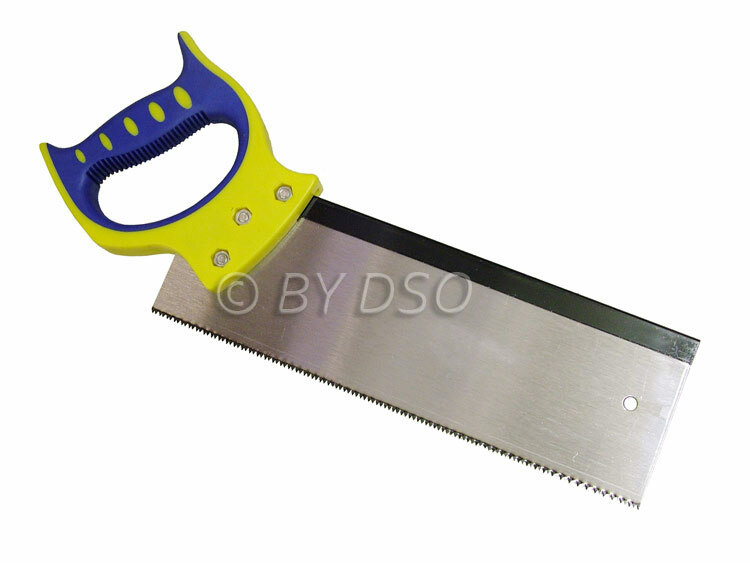 Using 65Mn Alloy Steel for strength and durability, this Tenon Back saw has a rigid reinforced back made from high carbon steel which makes a straighter stronger cut. The teeth have double edged impulse hardened tips for a fluid stroke in both directions without clogging. Ideal for construction sites, workshops, round the house maintenance and a variety of other applications. Preferred by many scroll saw users. A Double Tooth blades are distinguished from regular skip tooth fret saw blades as having two teeth together followed by a flat space for efficient chip removal. Double tooth blades cut fast, leaving clean edges in wood and plastic.